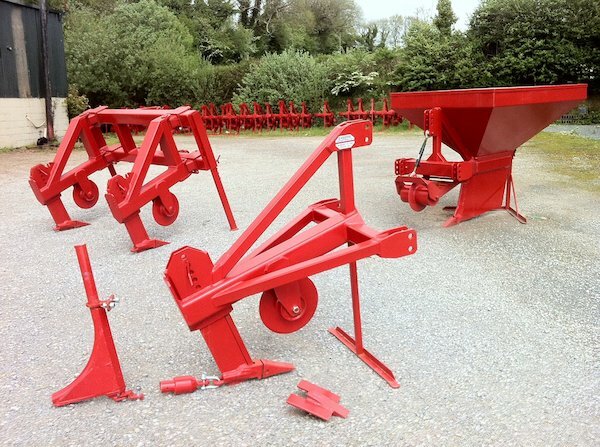 A strong tool bar frame with horizontally adjustable and swinging mole plough or subsoiler tools attached. Suitable for tractors from 130HP upwards. 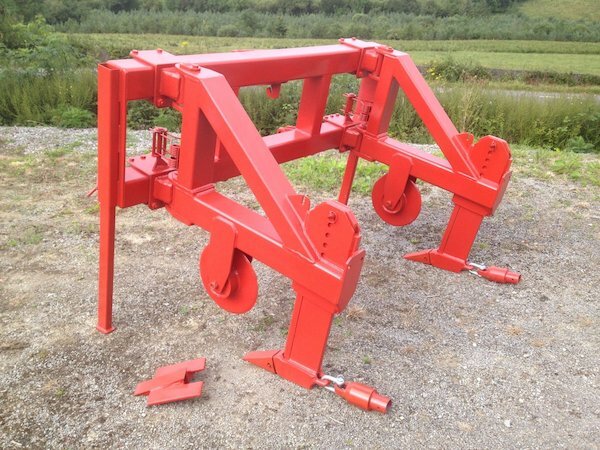 30mm thick hardox legs with replaceable front edges. 12mm thick disk coulters with greaseable bearings at each side and with built in depth wheels. Long bodies for safe reach into open drains, holding depth and for fast reaching of depth from surface starts. Rock bucket tooth tips, (Cat 215) easily changed and widely available. Quick and easy interchanging of different attachments.